As a soldier, to do the job to which you are called, proper weaponry is important. I’m not a police officer, just a guy called to minister to them and support them spiritually and morally, but I have observed that no law enforcement officer wants to be caught in a life-threatening stand-off with a hostile without his or her firearm. I say again, weaponry is important. The scriptures teach us that our weapon, as believers in Christ, is the Word of God. 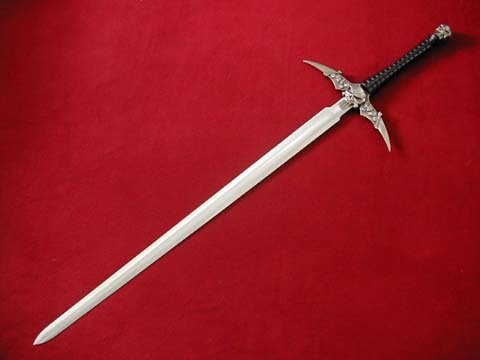 In fact, the New Testament declares that it is a sword, and a two-edged sword at that. Paul called it the “sword of the Spirit.” Every time we speak scripture against our negative situation, we are unleashing the sword of God’s Spirit against the “demons” trying to oppress us. Though I’m licensed to carry in the state of Texas, I don’t walk around with one strapped to my side; but, as a pastor, I love to help soldiers in God’s army beef up their spiritual weaponry. Here’s a new “sword” that I found this week. It is Psalm 112 and I wrote a positive faith confession based on the passage of scripture for you to confess over your life by faith. Here goes! 1. I praise You, Lord! I am joyful because I fear you (have reverential awe for You) and I delight in obeying Your commands. 2. My children will be successful everywhere; an entire generation of godly people will be blessed. 3. They themselves will be wealthy, and their good deeds will last forever. 4. Light shines in the darkness for me (as I walk in godliness). I am generous, compassionate, and righteous. 5. Good comes to me because I lend money generously and conduct my business fairly. 6. I will not be overcome by evil. Because I am righteous, I will be long remembered. 7. I do not fear bad news; I confidently trust You, Lord, to care for me. 8. I am confident and fearless and can face my foes triumphantly. 9. I share freely and give generously to those in need. My good deeds will be remembered forever. I will have influence and honor. 10. The wicked will see this and be infuriated. They will grind their teeth in anger; they will slink away, their hopes thwarted. Even if you don’t feel like you fit the bill for some of these characteristics, like “being righteous”, declare it anyway, by faith, and see if anything begins to change in your life. The Word of God is your ultimate weapon. When God gives you a word to claim as your own that can potentially challenge your present circumstance or reality and invite you to a higher place… USE IT! I stand in prayer for you. Be blessed! Next From the Bottom of My… Kidney?